You may have seen news reports of the second poisoning by a nerve agent in Salisbury, England. Most importantly, I hope the two people recover fast as, however it happened, this type of incident is horrific. I’m not going to discuss the incident itself as I feel I can know little of what really goes on in the murky world of espionage, but it is certainly worrying that international relations have sunk to this level, whatever the source of the poisoning. What I do want to talk about is Salisbury and its people and businesses. I visit it more than any other city as my brother lives nearby and it has become my favourite city, because it is unspoilt by modern development and has a lovely feel to it. When I was there several weeks ago, I saw that the city council had reduced fees in car parks because the first incident was keeping people away and businesses were suffering. Unlike most lookalike cities and towns, Salisbury has many fantastic independent businesses as well as the best market I have been to for decades, every Tuesday and Saturday. I went in especially to buy a summer hat, which I am so pleased with, but you can buy clothes, tools, music, food and drink from small producers and a lot more. It’s a real market. 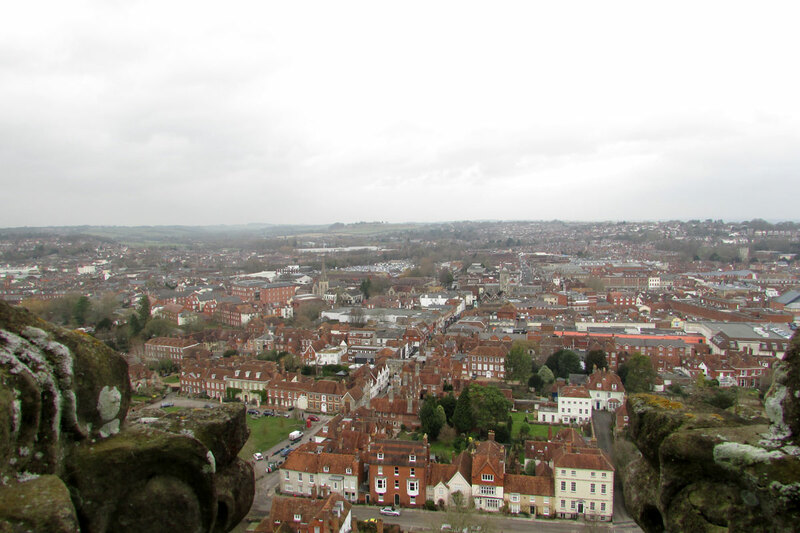 If you’re interested in history, there is so much in Salisbury. The present city dates from medieval times and the original street pattern survives today. The original city, Old Sarum, lies a couple of miles to the north, and this is well worth a visit. The dominant structure, which you can see for miles as you approach Salisbury, the view unspoilt by ugly tower blocks and offices, is the xathedral. A tour of the tower is recommended for the magnificence of the workmanship as well as the views for miles around. You can also see one of the original copies of the first Magna Carta. I went to see it recently and was amazed at how fresh it looks, as though it were written yesterday. While everyone needs to follow advice from authorities handling the poisoning incidents, I would recommend Salisbury as a place to visit for shopping and leisure. In 2015, Lonely Planet listed it as one of the top 10 cities to visit in the world. For ideas on what to do in Salisbury, see visitwiltshire.co.uk/salisbury. I hope the city and community recover fast from this setback and that the two people involved return to good health. It doesn’t matter where in the world these incidents take place, let’s hope we do not see more of them. Great job turning a negative into a positive. Very informative! I agree with you and hope that the two individuals that were affeced by the nerve agent poisoning return soon and in good health. It is awesoem that the town structure dates from medieval times. I truly enjoy history. Thanks for sharing.